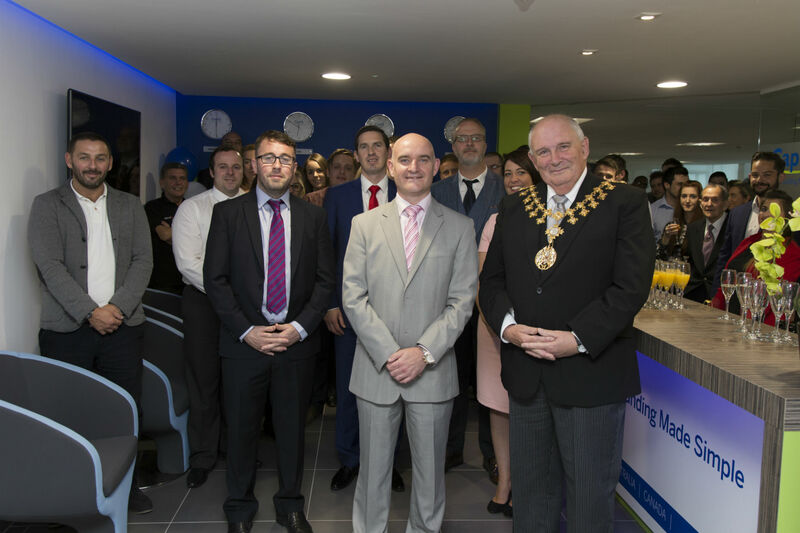 The Mayor of Trafford along with all Capify UK employees and many valued customers and partners celebrate new office extension in Manchester based workplace. 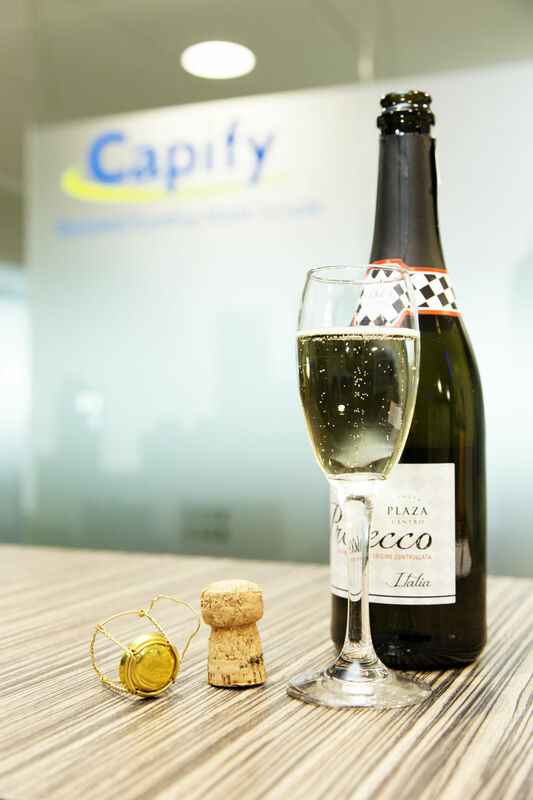 MANCHESTER, September 23, 2015- Capify, an innovative alternative finance provider has just celebrated an official office opening in their UK premises following major growth and success. 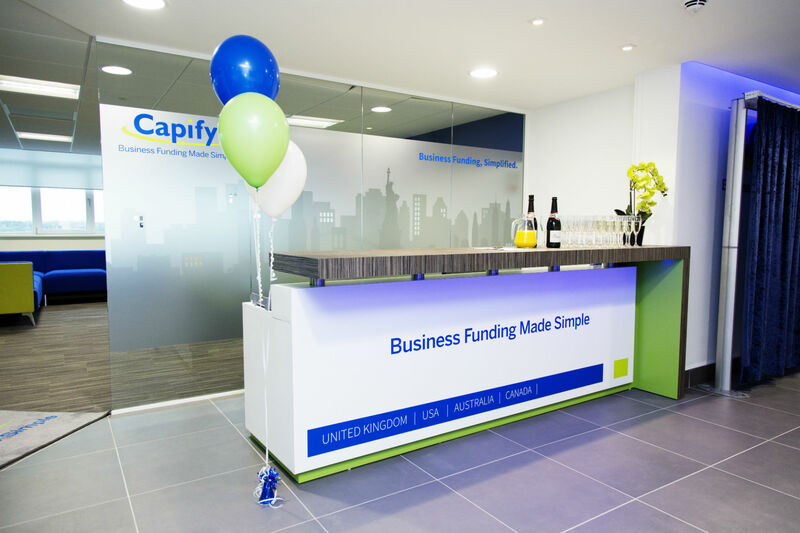 After an exciting year which saw the rebranding of United Kapital and Capiota under one global name ‘Capify’, the office opening was yet another thing to be proud of for the UK. Capify was launched internationally on July 21st and the company, which has offices in the UK, Canada, Australia and America, has seen huge financial success since. Despite having ample office space in the Manchester office, more was needed to accommodate the rapidly growing workforce. 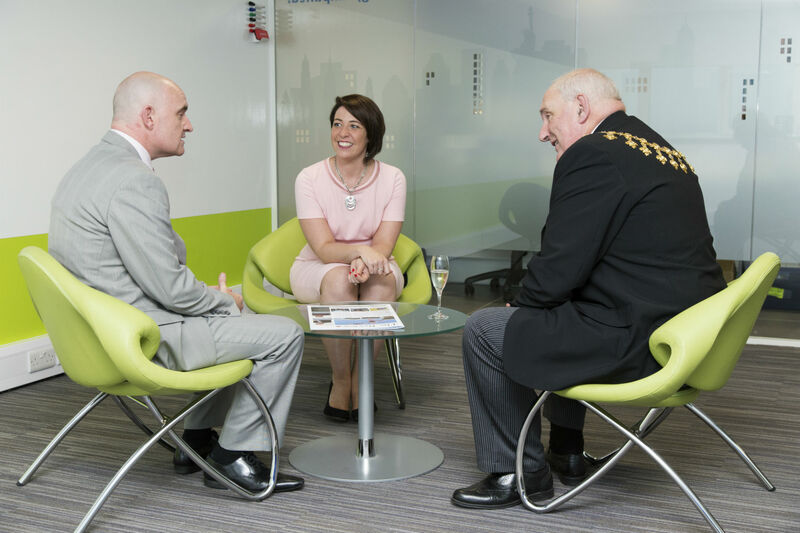 The office was officially opened by the Lord Mayor of Trafford and also in attendance were several of Capify UK’s valued associates. Guests were invited to arrive for 2pm and the event began with some celebratory drinks and nibbles. This was also a fantastic opportunity for people to walk around the new workplace and take in the creative interior. At 3pm, everyone gathered in the new reception area and Tony Pegg, MD, did a speech about the progress of the company throughout the past 8 years. 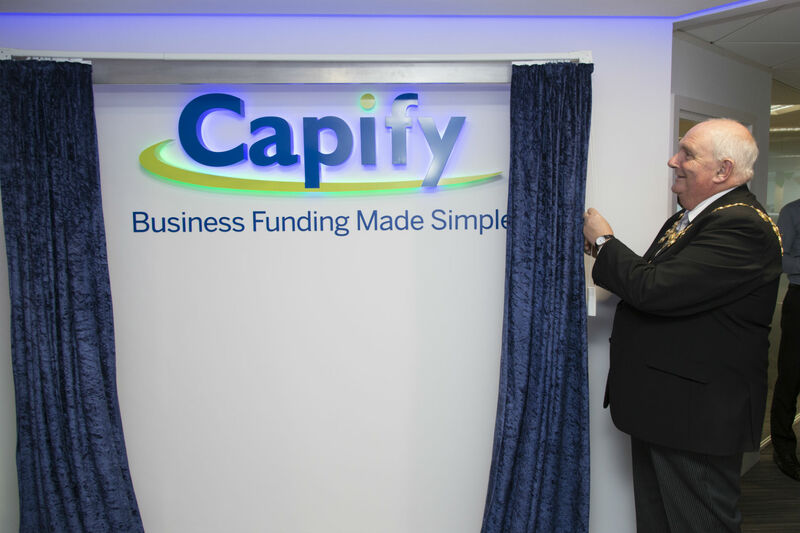 The Mayor of Trafford then did his own announcement and unveiled the Capify logo by drawing a set of blue curtains. The day was a great success and a unique chance for people to come together and celebrate Capify’s amazing growth and development.